Everyone knows the story of the raft on the Mississippi and that ol' whitewashed fence, but now it’s time for youngins everywhere to get right acquainted with the man behind the pen. Mr. Mark Twain! An interesting character, he was...even if he did sometimes get all gussied up in linen suits and even if he did make it rich and live in a house with so many tiers and gazebos that it looked like a weddin’ cake. All that’s a little too proper and hog tied for our narrator, Huckleberry Finn, but no one is more right for the job of telling this picture book biography than Huck himself. (We’re so glad he would oblige.) And, he’ll tell you one thing—that Mr. Twain was a piece a work! Famous for his sense of humor and saying exactly what’s on his mind, a real satirist he was—perhaps America’s greatest. Ever. True to Huck’s voice, this picture book biography is a river boat ride into the life of a real American treasure. The Adventures of Mark Twain by Huckleberry Finn. Mar 2011. 48 p. Atheneum, hardcover, $17.99. (9780689830419). famous men in the world. Blitt, a frequent New Yorker cartoonist, provides jaunty, cartoony pen-andwatercolor artwork, with exaggerated, tall-tale figures and period charm aplenty. Just the biography to reinforce, or even introduce, Twain’s stature as a nearly mythological figure in American letters. 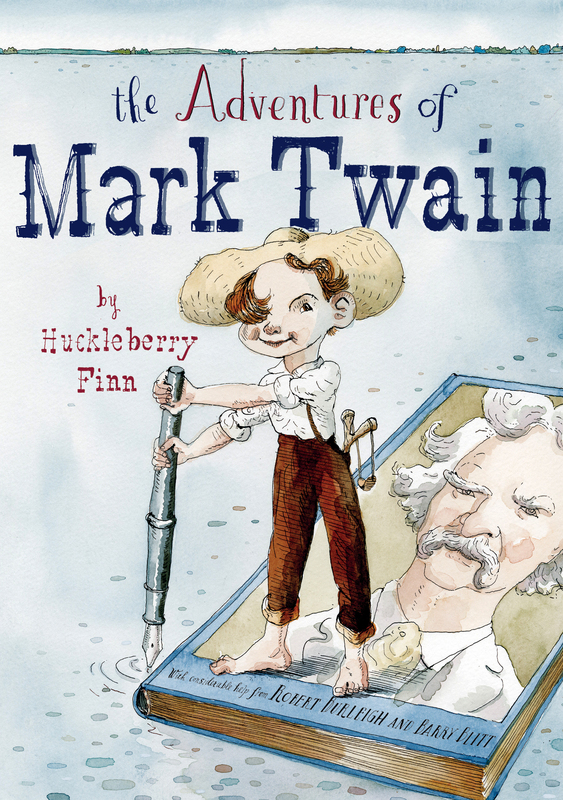 This playful biography of Mark Twain--narrated by his most famous of characters, Huckleberry Finn--begs to be read aloud with a backwoods twang. "Him bein' an author, you might 'spect he went to one of them fancy-pants schools people brag about. Heck, Sam hardly went to school at all! He growed up bein' poor, same as me, in a dusty village," declares Huck. Blitt (What's the Weather Inside?) contributes whimsical caricatures in pen, ink, and watercolor; a cherubic and ruddy-faced Huck, with a straw hat and a mop of hair over one eye, appears in each spread, appearing to play the dichotomous role of peeping tom and guardian angel (in one scene, he sprawls on a light fixture watching Twain write Huck's adventures as small cartoon figures of the characters paddle a raft right across Twain's pages). Enlarged and varied typefaces, used for emphasis and headings, may initially distract, but, as with the dialect, add to the delight. 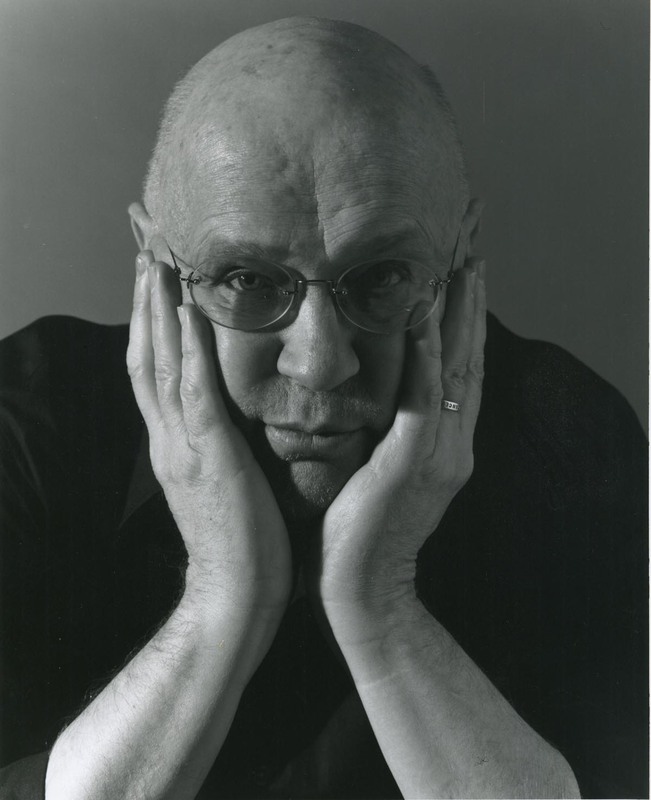 Burleigh's (Good-bye, Sheepie) book highlights the life of a great American author and is sure to whet readers' appetites for more about its straight-talking narrator. Ages 7–10. *BURLEIGH, Robert. The Adventures of Mark Twain by Huckleberry Finn. illus. by Barry Blitt. unpaged. chron. CIP. S & S/Atheneum. 2010. RTE $17.99. ISBN 978-0-689-83041-9. LC 2010006512. Hot on the heels of Susy Clemens, in Barbara Kerley’s The Extraordinary Mark Twain (According to Susy), BCCB 3/10, comes a rival Mark Twain child biographer, of sorts—Huckleberry Finn himself. With Burleigh’s, ahem, editorial assistance, Huck recreates his creator, one might say, in his own homespun voice: “Sam tried soldierin’. But it didn’t take. There wasn’t much sand in his craw for killin’ people. And . . . he was very unfavorable to bein’ killed hisself.” Huck not only effectively and wittily conveys the basics of his literary father’s life, but he also displays an excellent grasp of the critiques addressed to Twain’s work by both contemporaries and later generations: “Before I came along, most folks wouldn’t pay no attention to a story ’bout a no-account boy. . . . And they wouldn’t like that my words ain’t always presented in the King’s English.” Huck is assisted in his authorial debut by Barry Blitt, whose spidery line-and-watercolor paintings echo the fluid ink work of Robert Andrew Parker and the spot-on caricature of John Hendrix. Our “author” admits he “left a lot out,” but he slyly puts responsibility for any of his work’s shortcomings on Twain himself: “I coulda throwed more style into it, but I can’t do that very handy, not being brought up to it.” Fortunately, his editor supplies additional data in an appended note, and as to style—well, I reckon most kids’ll think he done just fine.